The South Windsor Recreation Complex has been renamed the Capri Pizzeria Recreation Complex after a partnership between the city and Capri was announced Wednesday morning. “The partnership with Capri, like the other naming rights and sponsorships that we have, will help City staff enhance and improve what’s offered in the way of programming, events and facility upgrades”, said Windsor Mayor Drew Dilkens. “This is a wonderful facility, the third busiest in the City, and now we have a great local company to partner with at it”. 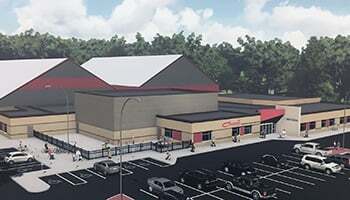 Capri’s was the winning bid in a request for proposals process that amounts to a 10-year agreement that includes a cash donation and product allowance in exchange for naming rights and signage to the building.